Microsoft Corporate Vice President of Worldwide Partner Group Jon Roskill (in the form of a Twitter post) says the Office 365 cloud productivity suite will be generally available starting on June 28, 2011. June 28th is the date for General Availability of Office 365! > 100,000 real customers on beta…Partners, are you ready??? Roskill [pictured at right] essentially is Microsoft’s Worldwide Channel Chief. As a refresher, Office 365 consists of cloud-hosted versions of Microsoft Office, SharePoint Online, Lync Online and Exchange Online. It’s going to be replacing the Microsoft BPOS suite, though existing Microsoft Online Services customers will have some time prepare to switch from BPOS to 365. The beta that Roskill is referring to only launched in early April, so if that 100,000 “real customers” number is accurate, it’s a fairly impressive achievement for Microsoft — despite the fact that your humble correspondent was left wanting by a demo. Microsoft’s been aggressive about promoting Office 365 to channel partners and ISVs. But at the same time, they’ve remained adamant that Microsoft and only Microsoft will continue to own the customer billing relationship, leading to more than a few partners to express reservations. The timing of the launch is a small wonder — they clearly want to roll out Office 365 in time for the Microsoft Worldwide Partner Conference (July 10-14, Los Angeles), where Roskill and company are going to take the case for the cloud directly to their reseller base. Keep watching TalkinCloud for updates as we get closer to that June 28th launch. I hope the release-to-web version fixes the inability of Access Web Databases to print reports from SharePoint Online. 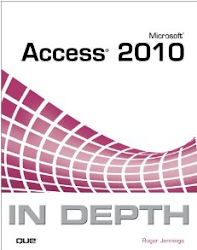 See my Learn How To Create Access Web Databases with Office 365’s SharePoint Online Beta from my Latest Webcast post of 3/27/2011 for more information on Access Web Databases running from Office 365’s Access Services. Thanks for the information. Since the release of Office 365, many businesses are already using it. Some may have some sort of problem but it is mainly on the being familiar with the suite. We help you with such matters.